Term 3 Review: What am I doing differently? Term 3 has quickly come to a close which means it is time to reflect on my inquiry again. Originally I thought my inquiry had slipped by this term without getting much attention but as I started reflecting I quickly was able to highlight the continual and new developments. This specific inquiry was also a bit overshadowed by my second inquiry of how to develop an effective reading programme that balances breadth and depth. I have made significant changes to my reading programme which has actually aligned itself with this inquiry very well. Through introducing 3-week focus lessons, increasing and widening reading material and connecting texts within a concept it has naturally led to an increase of word study and exposure. 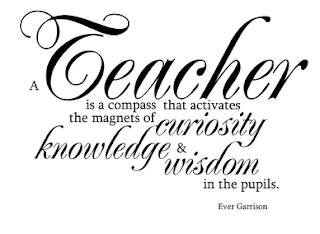 As I enter my final term of this inquiry I want to continue developing my practice and hopefully receive some formative results from the end of year testing. Term 3 - All Go! As Term 3 is quickly passing by I reflected on the question; what would someone coming into my classroom see me doing differently? The most visible change would be the focus of my direct teaching group sessions. I am very aware of what words students are struggling to decode and/or comprehend, yet also pre-planned for deliberate words to study and explore. When such words are identified I put them on the whiteboard and get students to ‘explore’ them via a number of different means. Sometimes this might be getting students to find any parts of the word that they recognise or breaking the word into sounds. Other times it I direct students to google the word to find its definition and discuss any connections stemming from this. During these times my students are more engaged than earlier this year in actually wanting to engage with the word and discover its meaning. Already this term I have begun the process of retesting all of my students to give me valuable information on their progress. Specifically for this inquiry I am wanting to see the progress, identify the needs (new or old) and use this to influence my inquiry direction going forward. So far within my inquiry group there has been a mixture some improvement in their decoding, whilst still for others it’s a big need. Repetition: I want to set up a Padlet, doc or presentation where I can get students to record the words we discuss and use this as a place to revisit to ensure we get good repetition of words. Sounds: Look more specifically at sounds within words: Word endings, Contractions, Middle sounds, & Medial Blends. New Vocabulary: I want to get my students to become more independent at decoding and defining unknown words. To do this I want to find ways that my students can independently record unknown words, research them and finally share and discuss them with their group. It has already been two terms since I began my inquiry into improving achievement for my low readers by focusing on sounds and word parts. Over the past two terms I have seen my students gain huge confidence to study words and explore them. This confidence will hopefully lead to my students gaining the skills to understand and decode unknown words. Here is a reflection on my inquiry as I have now reached the halfway point. Tonight I left my classroom with a greater burden on my heart for my students than I have ever had before. It was teacher/parent interviews, a time to share student mid-year reports. After many discussions with whanau throughout the day, sharing their child's successes, goals and needs, it was nearing the end of the evening. I then had a parent come into my class; a softy, kind spoken man. After showing him his daughters report he displayed a complete sense of helplessness and emotional burden in regards to her position against National Standards. It was hard to see a dad feeling so helpless towards what he could do to help his daughter. It was at this moment that I was reminded and even assured more of the reason why I devote so much of my life to teaching. Now being a dad made it even more real to me the true reality of what my student needs are and how important it is for me to do the absolute best teaching I can. The majority of my students this year a well below the National Standard, so it has been a challenging beginning to the year understand their levels and the progress that they need to make. But from this it has given me more motivation to try new things, keep focused and understand the needs to my learners better. I now look forward to the rest of the year and what this new motivation will bring, with a hope that I can make a significant difference in each of my students lives. This term as a whole staff we had the opportunity to visit Stonefields school to observe and learning about their learning frameworks. It was a fascinating visit getting to experience a totally different environment and taking the opportunity to reflect on my own practice. One of the major reflection points that stood out to me was their learning process and how could I integrate this to my reading practice. In my practice I identified that during my reading group discussions I spend a lot of time building knowledge but not really any other the other blocks. Then the majority of my follow-up activities would fall within the making meaning block. But I don't really ever get the apply understanding block within my reading programme. When discuss this as a team it was interesting identifying that our often our students actually struggle answering questions during their reading that require them to apply knowledge to rather than simply retell knowledge. From this reflection I want to explore specifically within my direct teacher instruction time but also within my tasks how I start integrating this learning around applying knowledge. For my inquiry focus group I have designed a lesson around these three blocks. In this lesson we will look at how characters have different viewpoints on the same situation. Then we will analyse how people all value things differently. From this we will then apply this understanding into a wider world context of valuing water. We will learn and understand how people in our world (including ourselves) value water differently. Build knowledge: Understand how and why characters have different viewpoints. Apply understanding: How is water valued differently in the world (justify). I hope that from this lesson students will be able take the knowledge that they learn and then apply it to a wider world context. I am also wanting to design an activity where they have to present their understanding of how people value water differently. See here for Lesson Planning: Drones Term 2 and for student task: Did you shake your tail feathers? If we make our students struggle then will they gain a better growth mindset. In teacher groups are we giving students enough of a scope to grow therefore I need to ensure that I don't limit them yet at the same time make it achievable. Use padlets to get students to share their thinking of a text. I need to get my students to have an attitude of being able to be in the pit (stuck) and know what to do. As a staff we got the opportunity to meet together to hear about each other's inquiries then share with them some ideas. This was really valuable for me as I was able to hear from teachers who teach in the junior school and have students at a similar level. - In order to help students with their understanding of words they could form word families. Specifically get them to make word that rhyme. - Get a physical magnetic alphabet board and allow students time to play and explore words. - To help students with remembering words set students up with memory games where they will have to use words repeatedly. Students need lots of revision before they will actually remember words when they see them in a new context, so this could be a good way of getting repetition. - To help students with sound knowledge use some of the ready made Explain Everythings to give students practice with their sounds. Where is 2016 going? One term down already so it must be time for a termly review. My 2016 teacher inquiry has begun! This year Pt England's school-wide teacher inquiry focus is: Formative practice in reading/writing to improve students achievement. From this my personal inquiry for the upcoming year is. "How can the study of words, their sounds and their parts improve achievement for low readers?" This focus has come as a result of my inquiry last year into how to lift student vocabulary in reading? During the year I had a specific focus on vocabulary strategies but when I reflected on my end of year reading data I concluded that this focus was of benefit for my higher students but not at all for my lower students. Now this year with the average reading age of my students is even lower, range of 6.9 - 8.5yrs, I want to specifically focus on increasing achievement in reading for Yr 4 & 5 students who are well below standard. In order to do this I want to begin by increasing the actual study of words, their sounds and parts. Even though these students are 4-5 years into school they don't have the content or strategy knowledge to decode texts at their level. In order to complete this inquiry effectively I have chosen a focus group, the Drones, which consists of 7-7.5yr readers. After analysing last year's data and testing each student within my group this year I establish three summary points. - All of my students within the group have low decoding skills. - At times students just say the first word that comes to mind which has the same first letter. - Tasks: Word study task (Learning to read) & Comprehension (Reading to learn). - Reading: The focus and attention within my group reading sessions. This is my screencast of looking at a learning pathway through my class site. Check it out. Term 1 update on my inquiry.